Earlier today (about 5 minutes ago in fact) we got a chance to check out the new SRAM RED eTap AXS including the new smaller BlipBox. To house that BlipBox is a 2nd product SRAM product launch – the new Zipp Vuka Aero. 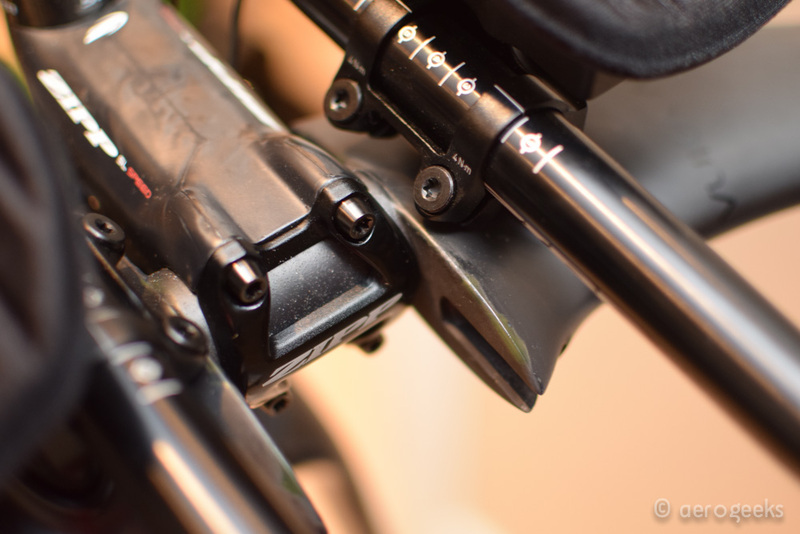 An update that takes everything we loved about the original Vuka Aero and adds new AXS compatibility along with improved adjustability and revised arm pads. Before we begin we have to admit that we are doing this a bit backwards. Normally our first looks are based on press releases packed with images and details but the products a few days\weeks\months out from getting in our hands. In this case we received very few details (we unfortunately did not get either the price or weight of the new bar MSRP: $ 900 / € 1000 / £ 895; RETAIL AVAILABILITY: March 2019) but we do have the product in house already, which means we get to see all the little details a press kit may have omitted. 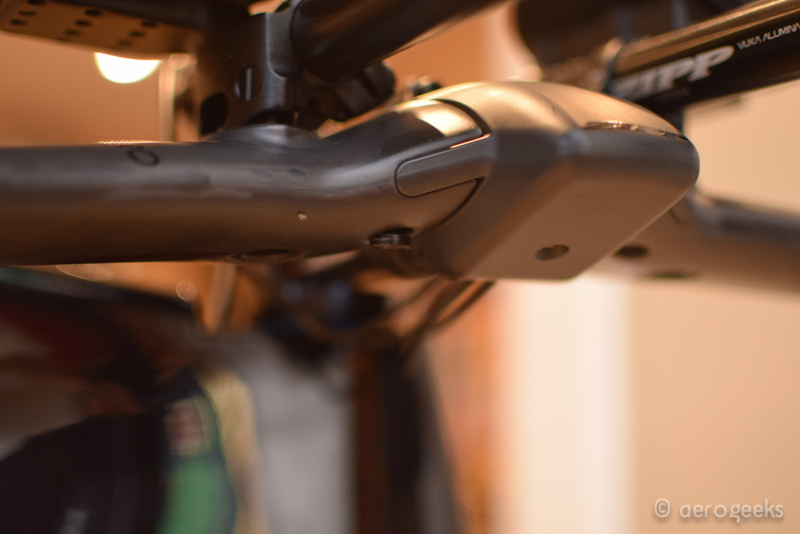 The new Vuka Aero most exciting feature is the integrated BlipBox mount. Our Shiv test bike has had a Vuka Stealth on it for the past few years – we just cannot give it up. But that has also meant that we had to locate the BlipBox underneath the bars for the whole world (and more importantly the wind) to see. With the new Vuka Aero we can locate the BlipBox in the nose cone but still have access to it both on the ride (the gap is just large enough to slip a finger through to hit the button) or on the maintenance stand – just need to remove two screws. For those with the original bar. Yes you can use the larger nose cone from this bar. However the finish is different and there will be a mismatch. Adjustability options have been improved as well. 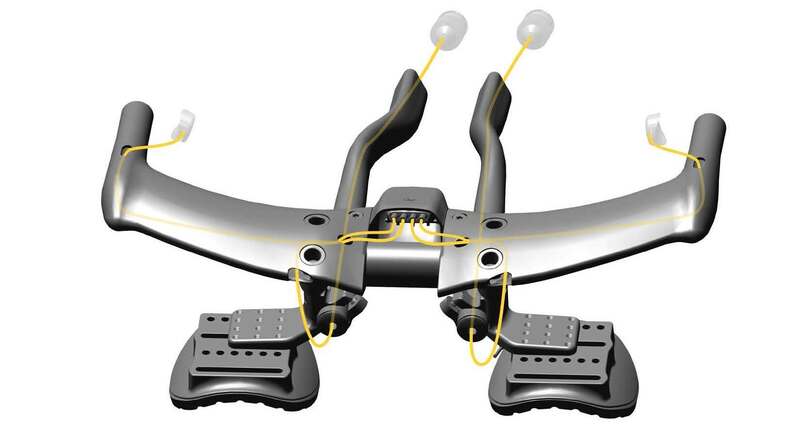 The pads themselves have a huge range of adjustability. By our count the previous pad iteration had 6 possible mounting points. The new version has 18! The extensions themselves now feature angle adjustments independent of the base bar (and each other). Adjustable via two screws, you do not need to remove and other parts of the bar to make adjustments. Similarly to move the extensions in and out also does not require additional part removal – all screws (Torx as always with Zipp) are easily reached without taking the whole bar apart. Like the previous Vuka Aero, this version is designed to work with any existing 31.8mm stem clamp. And as we mentioned unfortunately we do not have pricing information but will update that as soon as we receive it. We just updated the pricing information above. While we do have the Vuka Aero in house our ride time has been severely limited so look for a full review for the big details. But that being said even our minimum time with it has impressed us so far. 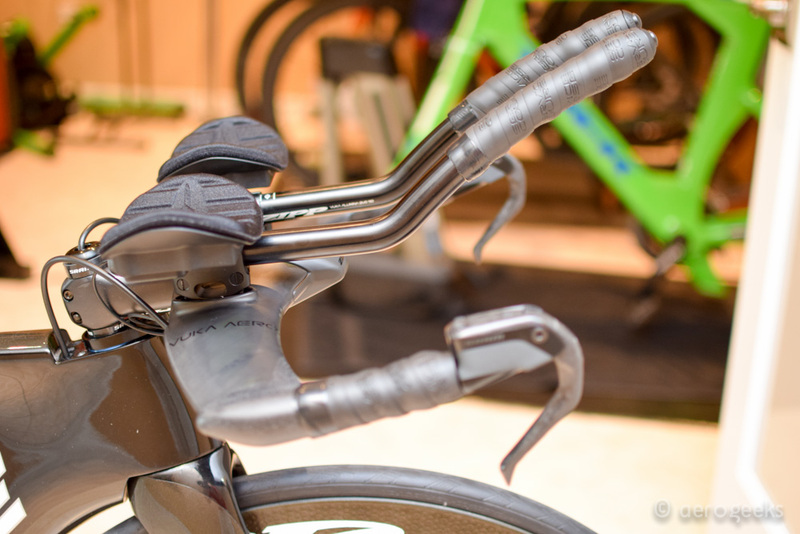 It is an iterative improvement over a bar we previously said “In all, the Vuka Aero is an excellent bar for any non-integrated bike” and this bar (at least at first impressions) continues that tradition. The nose cone BlipBox mount works exactly as designed. Our only fault is that there are still quite a bit of wiring that needs to be dealt with. 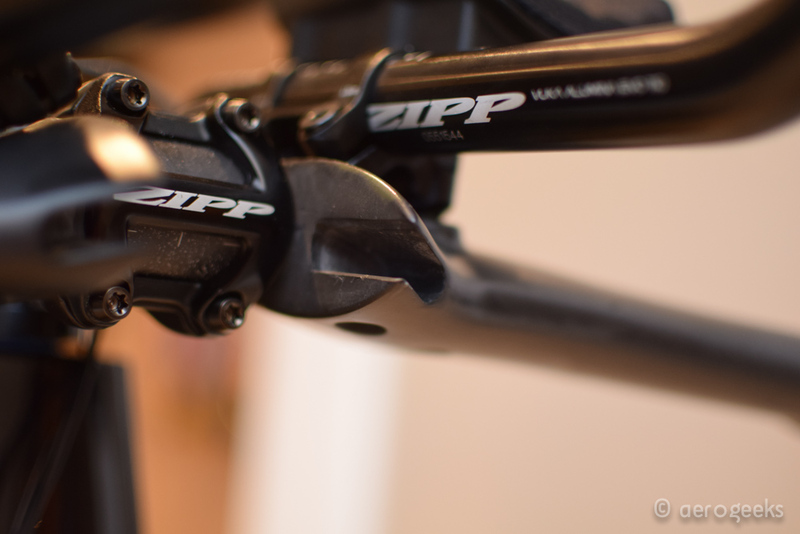 It feels like Zipp could have added a wire port right behind the mount to hide the two wires that go to the pursuits. 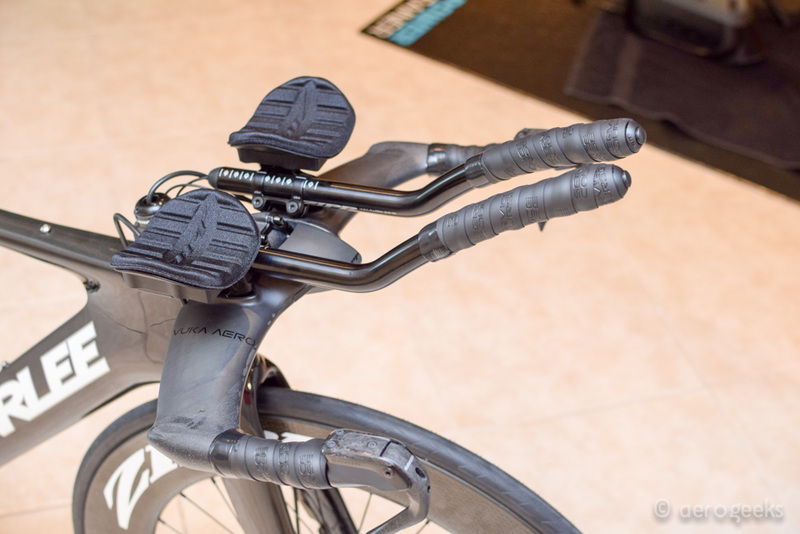 And maybe something creative to route the additional wires to the aero bars. An easy solution at least for now is some black zip ties to clean the wires up a bit – but there is room for a 3rd generation of Vuka Aero here. We spoke with Zipp and they shared that there are better ways to run the cables that you can see in both the picture and video below. The ease of adjustability is fantastic. 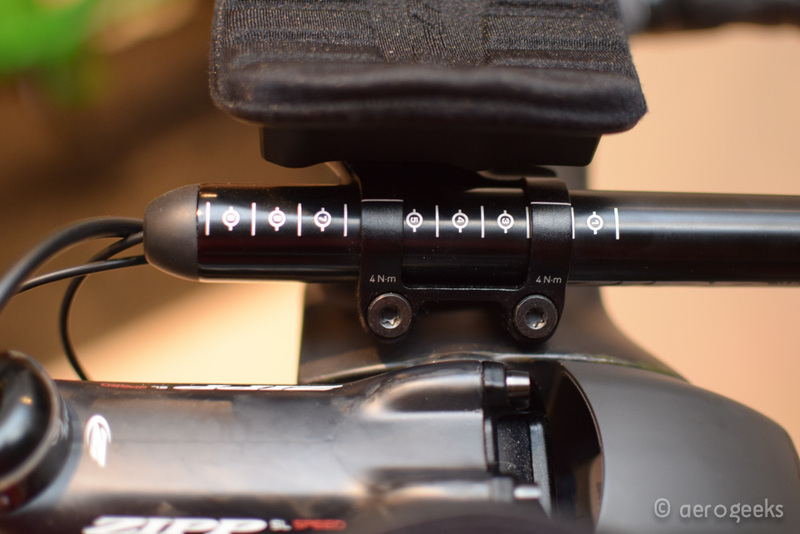 We know a few fitters who are going to appreciate how easy it will be to make on the fly fit adjustments without even getting the rider off the bike. The only hidden screws are the ones for the pads (which merely require you to remove the soft pad itself via velcro to make adjustments). One detail we really appreciate is that the pursuit bars are textured. Those that prefer to ride without bar tape will appreciate that the bar itself has already considered their grip tape needs. We are going to leave our final conclusions until we get the full details (which we figure we will have later today) as well as long term ride feelings – the nose cone on the original contributed to the stiffness of the overall bar, we want to see how this new one stacks up. 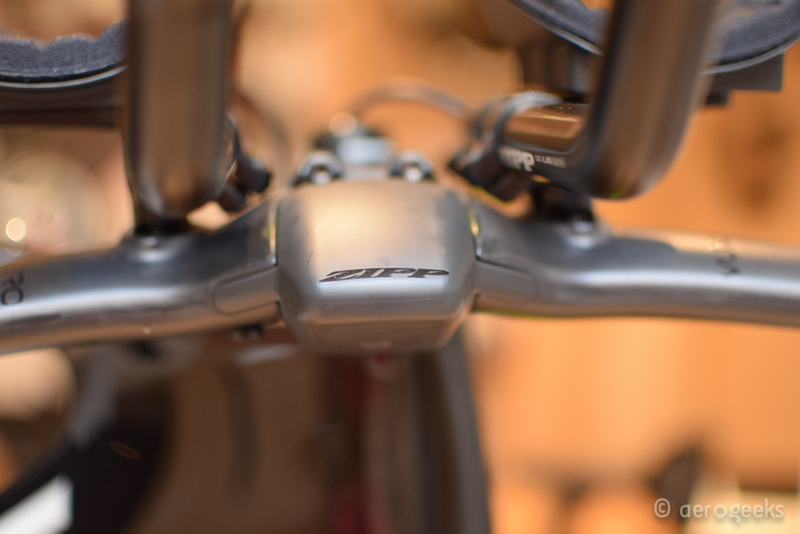 But until then let us know if you have any questions about the latest from Zipp\SRAM and as always stay tuned to AeroGeeks for your latest triathlon gear and news! Great first look. Like you guys, I have the Vuka Aero already. If I am upgrading to SRAM Red AXS (from current mechanical), do you know if I can just get the new nose cone and will that fit on the old base bar? Also, I’m interested in the new hardware that allows armpads to be tilted independent of the extensions. Do you know if that is also available for sale separate from the base bar and will it work with the old base bar? Would love to see you guys test the backwards compatibility on your old Vuka Aero and report back. I can’t justify a $900 upgrade just for those features… given the original Vuka Aero wasn’t cheap to start. The nose cone is transferable but the carbon will not match. Unfortunately the tilt hardware is not transferable.